Being a Certified Medium for the past 30 years, Melissa’s learned so much when it comes to metaphysical and spiritual concepts. She also has seen plenty in the seance room. Rev. Leath is a recognized meditation and spiritual growth expert and has worked with thousands of clients and workshop attendees spreading the idea of empowerment. When you go to the websites, be sure to look around for free downloadable e-books or e-courses. And sign up for her newsletter. 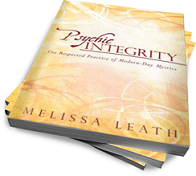 This Blog will be an ongoing account of the psychic world and the ethics and integrity needed to work in it. Thanks so much Thereca~I appreciate your response. Take care. Congratulations! I have nominated you for the Very Inspiring Blogger Award! Please go here to read about this award! Thank you! Very cool site you have here, Melissa. Thank you for following whatever signs led you to me. I’m glad we met. 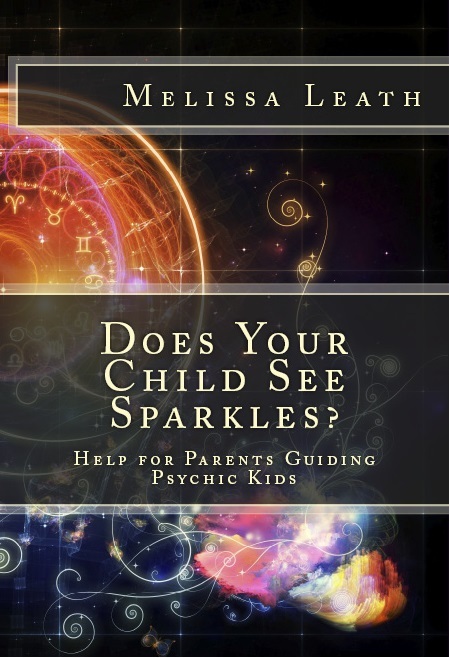 I googles light images and your site popped up with the book explaining what I was experiencing when I was a child. I was born in 1974 and recall seeing the images only at night before i went to bed, dancing around my room, making it’s way towards me. The images would go through my hand as i would put it up until they faded away. I was never afraid and looked forward to this experience each night. I was about 9 or 10 yrs old when they stopped. I was never sure what it was. I look forward to ordering the book.